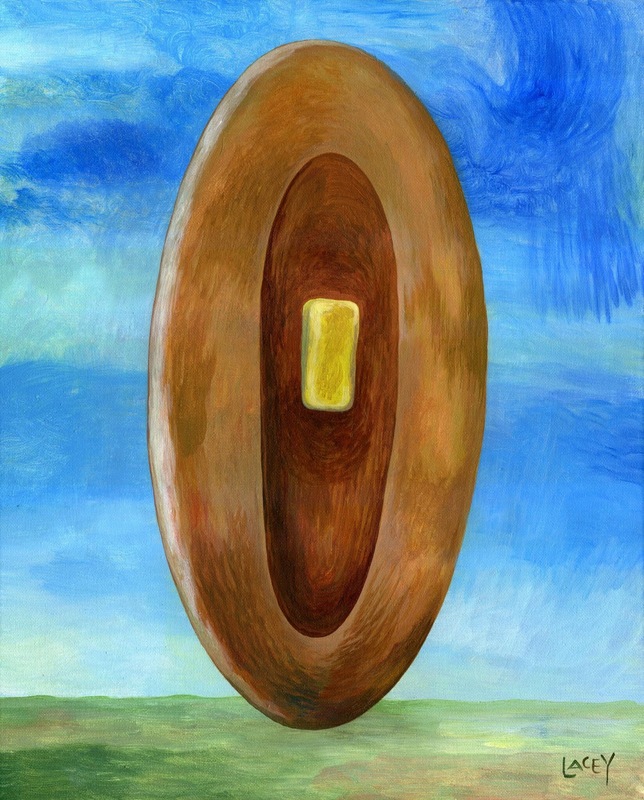 I painted this as a gift for a follower on Flickr who had purchased a smaller painting of a pancake with a beard. Perhaps if I mail this by noon today he'll see the painting(s) by Saturday. 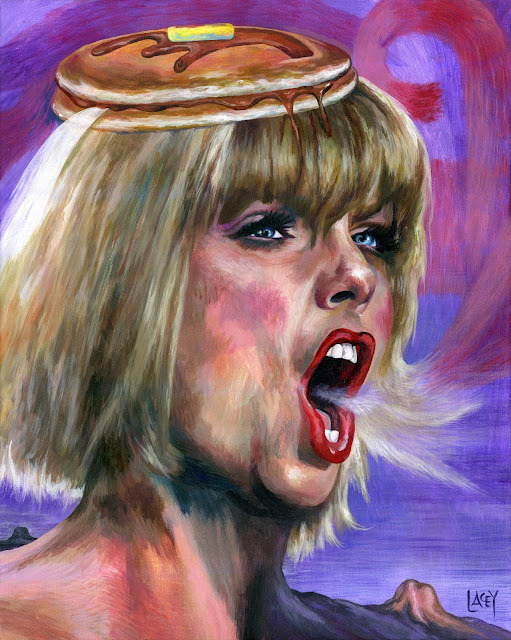 A portrait of Taylor Swift with pancakes on top of her head. Painted last weekend. The stumps in the background are of pop stars past or becoming. I may revise one stump to demonstrate that it is in the process of forming. The double pancakes represent Taylor's two album of the year Grammy awards. It seems as if I am cleaning my coffee maker every two weeks now. I very much doubt that Hitler had a micropenis. My ideal weight is supposed to be 165 pounds so I would like to lose at least another three pounds by Saturday. That would put me only five pounds above my goal weight. I worked on this painting for about an hour at a McDonalds in Inver Grove Heights. 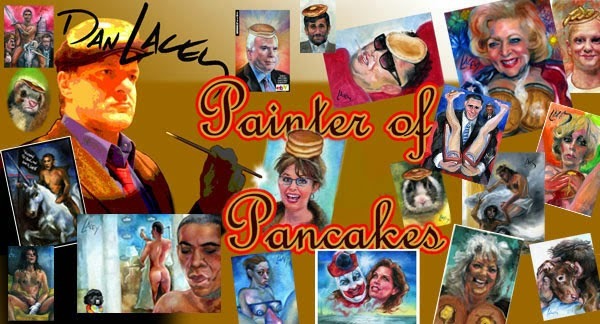 I would like to start a painting called Infant Of Pancakes for Lent, but I need a photo of an infant to look at. That, or an infant. twitter or flickr, most directly to Etsy. 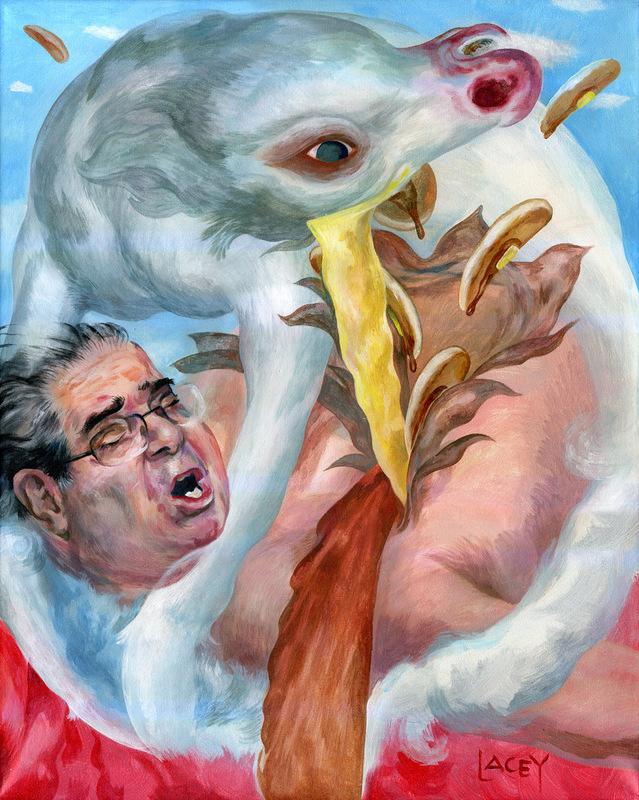 My Justice Antonin Scalia memorial painting is from a week ago.